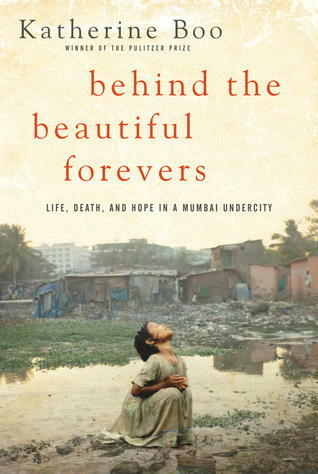 Behind the Beautiful Forevers is a beautifully written book that tells the story of Annawadi, a poor settlement situated near luxury hotels in Mumbai. It follows several people who search for ways to make their own fortunes. For example, Abdul, a teenager hoping to make get rich through recycling garbage, and Asha, who tries through political corruption and through her daughter who manages to go to college. Overall, the book is about the impact on the people in Annawadi who do not benefit from the rapid change and sudden wealth in Mumbai. It is an extraordinary and painful insight into the often-unseen results of our global economy.